Rescue operations were under way on Thursday (Dec 6) for five US marines missing after two American military aircraft crashed during a refuelling operation off the coast of Japan, the Japanese defence minister said. A spokesman for the Japanese Self-Defense (SDF) said another crew member had been found but there were no immediate details of the marine's condition. "US military and the Japanese Self-Defense planes and vessels are searching for those still missing ... I hope all the members will be rescued safely as soon as possible," Iwaya added. 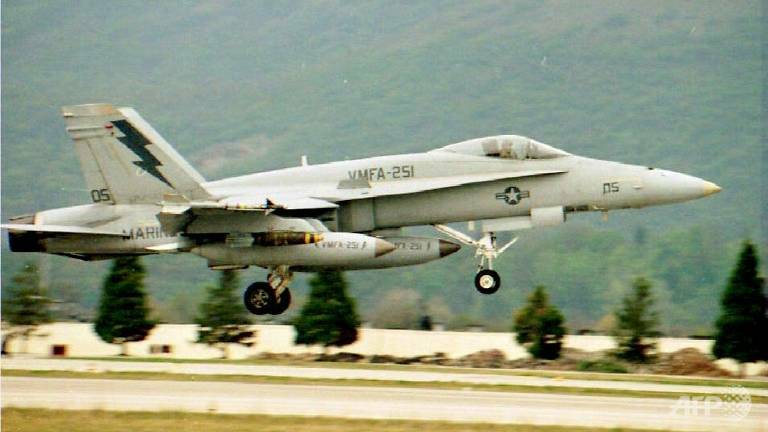 The F/A-18 fighter jet with two crew onboard and a KC-130 refuelling tanker with five crew - crashed into the sea around 100km off the cape of Muroto in south-western Japan, Iwaya said. There are few details about the circumstances of what the Marines described as a "mishap" and an investigation is under way. Iwaya said the incident was "regrettable but at this point we are doing our utmost to rescue those still missing."